Downsizing When You Retire? Hold on! Some Seniors Are Upsizing! A recent study by Merrill Lynch discovered that although half of the retirees queried downsized to smaller livings quarters, 30 per cent moved into larger homes. The chief reason was to plan for the possibility of accommodating visits from family or friends. It also is to allow that family members might want to return to the nest after all. Many boomers and seasoned seniors are finding their off spring have a need to return home after getting a taste of the wide world out there. These young people are called “helicopter kids.” They hover around Mom and Dad to return to their comfort zone when unemployment, relationships and economic hardship sour in the outside world. Of course, another reason to return home may be nothing more than missing Mom’s home cooking. In 2014, for the first time in more than 130 years, adults ages 18 to 34 were slightly more likely to be living in their parents’ home than they were living with a spouse or partner in their own household, according to Pew Research. Another changeable element in American society is for some couples seeking more home space for their parents. People are living longer and there are multiple reasons (health issues, death of one spouse, insufficient living expenses, etc.) for moving in an aging parent(s). This is occurring more frequently. In 2008, 4.05 million parents were living with an adult child. By the end of 2011, the number had risen to 4.6 million — a 13.7 percent increase. Even among the tradition downsizers, the trend is changing; the National Association of Realtors reports that in 2004, boomers downsized by 500 square feet, on the average. In 2016, they decreased house size by only 100 square feet. All in all, more boomers and seasoned seniors are going to find themselves a member of the “Sandwich Generation.“ No, it’s not a secret sect with mass appreciation for bologna and mayo. It’s the large number of boomers who find themselves simultaneous moving toward retirement and also taking care of aging parents or children or both. The boomers are in between; hence, the sandwich analogy. Author David WilkinsonPosted on November 7, 2017 Leave a comment on Downsizing When You Retire? Hold on! Some Seniors Are Upsizing! Oh my aching back! Too often at the first flinch of pain, you trot to the medicine cabinet and swallow a couple of Advil or Tylenol. Worst yet, you might take an opioid: Oxycodone or Fentanyl. You should know before you begin the pill for pain ritual that the American College of Physicians (ACP) now has new guidelines recommending alternative therapies instead of pain meds for lower back pain. The ACP (148,000 members) has finally admitted it: their chief tool to treat one of America’s most common aliments doesn’t work. New ACP guidelines released this month suggested doctors recommend exercise and treatments like heat wraps, yoga, and mindfulness meditation to their patients before proscribing medications like over the counter painkillers or opioids. You say you don’t have lower back pain? Congratulations! You’re the exception. Low back pain is one of the top reasons people see their doctors and this nuisance aliment is the number one reason for missing work throughout the world. Here’s the capper. Lower back pain is incredibly common-yet doctors don’t really know what causes it. The kind of low back pain we are talking about has no detectable cause, unlike a tumor, pinched nerve or a fracture. It can be acute (last four weeks), sub acute (last four to six weeks) or chronic (12 or more weeks). Rarely, though, is it a sign of a more serious problem. There is no silver bullet but there are treatments that can reduce the pain. A major suggestion you should be doing anyway: exercising moderately without breaking your back (pun). Exercising, perhaps, is the best alternative to drugs. Heat therapy is a good line of defense for acute or sub acute low back pain. This alternative strategy can be followed by massage, acupuncture, and spinal manipulation by a chiropractor may help. For chronic back pain, exercise, rehabilitation therapy, acupuncture and mindfulness-based stress reduction can be utilized. Other non-drug therapy can be tai chi, yoga, low-level laser therapy, cognitive behavioral therapy and spinal manipulation. It should be stressed that none of the previous suggestion therapies have been proven to be complete solutions for lower back pain. Therefore, if these non-drug therapies do not provide relief, then the physician and patient consider treatment with NSAIDs as a first line therapy. Consider Tramadol or Duloxetine as second line therapy. Physicians should consider opioids as a last option for treatment and only for patients who have failed other therapies. Opioids are associated with substantial harm including the risk of addiction or accidental overdose. Take the traditional buy and hold portfolio theory. It’s outdated. Remember 2008? That rollercoaster market is history now, but if you rode it out, you could have lost as much as 40 percent of your portfolio. There’s a better way to handle your retirement account today. Read on. New Way: Today, complete transparency is available to every investor. They have complete access to their portfolio, and are even able to track buys and sells by money managers on a real time basis. Insist on full transparency. It’s another new way for you to discard the old and get onboard with the new way of doing business. New Way: Nowhere in financial management is the shift from the old to the new more critical than in the area of asset allocation. How critical is it? Asset allocation, market timing, and security selection were tested for the variability of returns by researchers. It was found that over time, asset allocation decisions are more important than the other factors in determining how a portfolio performs. Strategic asset allocation is an asset management strategy based on portfolio theory. As you know, when a portfolio is set up, a base policy mix is selected based on projected returns and risk tolerance of the client. Then as time goes by, the original mixes are rebalanced yearly or quarterly to maintain the long-term financial goals of the client. This is basic buy and hold, but with rebalancing — this method is utilized by Warren Buffett. So, just as believers in modern portfolio theory accept that investors should diversify across asset classes, we believe too the investor should also diversify across asset classes. However, the new way is to diversify further. Use a given percentage of your wealth to hire a TMM upon advice of your advisor to take advantage of the rise and fall of a cantankerous market (i.e., 2008 and early 2009, 2010, 2011, etc) to boost returns on a tactical basis. This means tactical money management can work in tandem with strategic allocation to provide diversification on an increased dimension. Thus, the investor can be provided with the opportunity for better returns while reducing risk, if you have both strategies within the same portfolio. Thus, you have positioned yourself strategically (long-term investments with periodic rebalancing) and tactically (short-term inclusions in the market) when conditions dictate trades in undervalued market opportunities. Now, let’s talk about the financial structure you should implement to gain the most returns on their wealth and reach the best comfort level with your risk adverse strategy. Certainly, we don’t advise purchasing buy and hold mutual funds, which historically have dealt investors’ high capital gains taxes, lackluster return, lack of transparency and high/hidden fees. The best new strategy to come along lately for the astute investor is the Unified Managed Account (UMA). Just like separate managed account (SMA), the UMA rewards the client with asset customization, professional money management and, most important, reduced tax liability. The UMA structure is simpler. It provides comprehensive asset management in a single account. It removes the need for multiple accounts and combines all the assets into one. Best of all, the UMA can also include most other alternative asset management vehicles (i.e. stocks, bonds, and ETFs). Again, the portfolio is arranged purely as one single account — with full transparency under a fee management system. Retiring baby boomers are looking for simplicity. I’m not talking about wasting away your most senior years in a nursing home but keeping strong , mobile, and energized to keep rolling along during your advanced years. It can be that way if you adjust your lifestyle in some of the ways others do on this good earth who are living longer and healthier. So why not? Look at people living well as centenarians. This just means adjusting your lifestyle doing what they do. Let’s look how the oldest people achieve longevity and avoid the weakness and fragility that so often comes with aging. Researchers have been studying specific elderly groups of people in different parts of the world for decades. Places like Okinawa, Japan; the Barbagia region of Sardinia, Italy; a Seventh-Day Adventist community in Loma Linda, Calif.; and the Nicoya Peninsula in Costa Rica. There are other places as well. All the folks who live in these places live longer than in other locations. Why? Take Okinawa, for instance, which the Japanese call “The Land of the Immortals.” These Okinawans have one of the longest average life expectancies in the world. Men live an average of 78 years and women 86 years. The also have the longest spans without disability—on average 72.3 years for men and 77.7 for years for women. Most important, these Okinawns have one-fifth the rate of heart disease, one-forth the rate of breast and prostate cancer and one-third the rate of dementia. They also suffer fewer strokes. What’s the secret? These people grow their own gardens of fruits and vegetables—year around because of the mild climate. They eat fresh produce with every meal. They use turmeric (a powerful antioxidant) in their cooking which includes garlic, onions, peppers, and tomatoes. Living longer is also noted on our own shores with the Seventh-Day Adventist community in California. These people no only avoid meat, but all sources of caffeine, alcohol and stimulant spices. They also eat many vegetables and nuts of various kinds. Consequently, studies of this population have revealed a very low incidence of all cancers, less heart disease and lower rates of diabetes. Longevity is not only about the food these groups consume. These people thrive on strong social ties from family and community groups. Sociability is evident among all long living groups around the world. So in addition to diet, social contacts, —often a lifetime of hard physical labor contributes of the longevity of these people. In fact, for the Okinawans, there’s not a word for “retire”. These people continue to work until they are no longer able. Moderate exercise is essential to prevent hip fractures and crippling leg weakness that is common among the inactive elderly in our society. Moderate exercise that includes walking, bike riding, swimming and also weight training and resistance exercises can prevent osteoporosis and fractures so common among seniors in our society. One overlooked factor to live longer is sweating. With AC in our homes and cars in our society, most people literally have to go out of their way to sweat. Yet, sweating removes poisons like mercury from our bodies. People living in the high zones of longevity are accustomed to sweating. Another way to preserve your life longer is drinking plenty of water. Many people are dehydrated daily and don’t even realize it. A recent study found that if a man drinks 5 to 6 glasses of water a day it reduces his risk of a fatal heart attack by 60 to 70 percent. Finally, the mental factor in aging has to be recognized as discovered in these global areas of long-livers. People in our society work themselves to death persuading fame, wealth, social position, and power. One aspect many miss on the way up is happiness. Researchers have found critical factors like a religious faith, strong family bonds, close social relationships, a special time to rest daily and having a purpose in life are most important. Many people have spent a lifetime doing damage to their bodies and their self-contentment. Some of these blog suggestions here can make a big difference in your health and longevity. It’s never too late to begin your healthiest lifestyle possible. 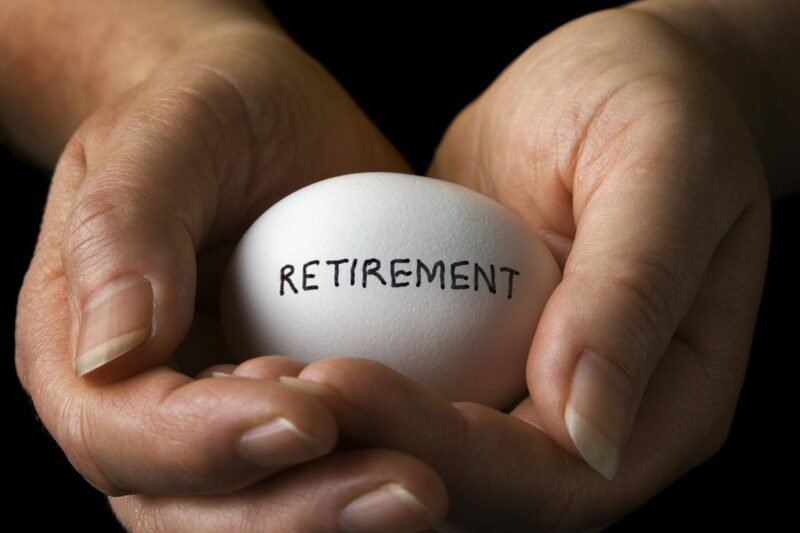 “Phased Retirement:” A Better Option for Your Golden Years? Webster’s Dictionary is always searching America’s lexicon landscape for words or phases that are becoming popular on their way to becoming permanent. “Phased Retirement” is a term we have seen with more and more usage in recent years brought on by many factors such as a up and down economy, longer life spans and the baby boomer generation rewriting the book on retirement. Others don’t wish to clock from 95 mph to zero in one stop. They want to gradually move into full time retirement by continuing to work part-time, do volunteer work or tackle hobbies left on the shelve during their full-time working years. Either way, if you’re considering a phased retirement you should be ready for some very different financial challenges that usually do not occur with the traditional retirement process. • Company health insurance: Check your company health coverage to see if reducing work hours will affect eligibility. • Social Security: Phased in retirement could reduce benefits if you begin to collect SS before reaching retirement age and continue to work. (Each year before full retirement age is reached, the SS benefit will be reduced by $1 for every $2 you earn over a set limit, which is $14,160 for this year. • Pension and other retirement benefits: This is a critical area. You could be vulnerable if your company doesn’t subscribe to letting employees receive pension benefits earlier. NOTE: Federal law allows workers to take pension benefits at age 62. My advice is to be alert to this accelerated trend of phased retirement and develop asset strategies to accommodate your needs if you seek this retirement lifestyle. Author David WilkinsonPosted on September 18, 2017 Leave a comment on “Phased Retirement:” A Better Option for Your Golden Years? Still Popping Pills Because Your Doctor Said To Take Them? If you are among more than half of the nation’s population (seniors mostly), you are probably taking a prescribed medication. Very possibly, you are taking more than one…or a couple different ones daily…or so many daily you lose count. This goes not only for prescription drugs but also over-the-counter drugs, vitamins and supplements. What this all means is Americans take more pills today than any other time in our history. No other country can match us for pill popping. Sure, we have been handed excellent advances by the medical profession that enhances our resistance to disease and illness by taking prescription drugs. At the same time, we see multiple prescription drugs interacting unfavorably with one another and causing our body to suffer. Not only that, but notable numbers of unnecessary drugs are handed out to patients by medical professionals because it’s the easy way to hopefully cause a respite to cure rather than examining other lifestyle external factors that could replace prescription drugs. The medical profession hands out drugs because they have been pressured by the drug industry that medical products are a sure cure for what ails us. Have you every counted the number of drug advertising commercials on a typical TV night compared to cars or fast food. In the ad world it’s called the “push” strategy. Prospective patients see the ads, and then ask their doctor to give the drug to them. What happens? Around 1.3 million people were taken to ERs in 2014 for adverse prescription drug effects. Of that large group, around 124,000 didn’t make it and died, according to the Center for Disease Control and Prevention and the Food and Drug Administration. What if you could eliminate one or two of your cocktail of different medications? Would it make a positive difference in your overall health picture? Make sure you are being helped and not harmed by your drug regimen. There’s ways to do this as outlined in an excellent special report, “Too Many Meds” in Consumer Reports Magazine (Sept 2017). This major article gives you some health saving tips to empower and protect your well being. First, get to know your pharmacist–he’s cheaper than your doctor. Utilize these two individuals that oversee your health maintenance to give you good advice on the medications you are taking. Gather up all you medication containers and supplements, bag them and take them to your local pharmacist. Spread them out on the counter, and ask him/her if he notices any interaction issues with the drugs you take now. Ask him/her, as well as your doctor, if some of your drugs can be eliminated? Could dosage be reduced or another drug substituted with reduced side effects? Ask him about lifestyle changes that eliminate or scale down your medications such as a more healthy diet, an exercise routine or curbing your smoking and/or alcoholic habit. What you learn from your personal health provider(s) may lead you to less dependency on prescriptions drugs and a “enjoy life more” you. You may even feel like getting up in the morning and enjoying the whole day with more energy and a better outlook. What’s better than that? Author David WilkinsonPosted on August 11, 2017 Leave a comment on Still Popping Pills Because Your Doctor Said To Take Them? Saving a Lot Or None at All for Retirement? … Where Do You Stand? Does your money disappear before the end of the month? If you’re like most Americans, you are more tuned to getting the immediate bills paid vs. thinking about way out in the future. The story here is your retirement. The vast majority of Boomers (born 1946-1964) and seasoned seniors (born before 1946) have saved very little for their retirement years. In fact, 50 per cent of total Americans have put away nothing, nada for the Golden Years. Here is the research based on a 2016 gobankingrates.com survey: 35 per cent of all U.S. adults have about several hundred dollars set aside as retirement savings. Thirty-four per cent have zero savings and about half have no retirement account savings at all. The survey cut across three income groups: millennials (18-34), Generation Xers (34-54), and baby boomers/ seniors (55 and over) with the intention of determing how these groups are saving for retirement. The survey revealed that many people are not on track to have enough money to cover their necessary needs during retirement. Most of our concern is the situation of baby boomers and seasoned seniors who are reaching the “tipping” point of having nonsufficient resources to have a full retirement. The key to retirement savings success is to begin as early as you can, take advantage of any employer matches, and automatically transfer funds from your paycheck to your retirement fund so that you do not even think of that money as disposable income. Treat savings as an expense and pay yourself first. As seniors get closer to joining the retirement club, the gap between the savers and the save-nots widens. Although a larger portion of people age 55 and over report high-balance retirement funds ($300K+), there remains a significant subgroup that has little to no retirement savings. Among those 60 and over, about a 25 percent have sufficient retirement savings, but the other 74 percent are still behind. What’s the problem? The answer is “Procrastination”. Concerned about the bills due today and the things you want to buy tomorrow. Before you know it, twenty or thirty years have passed in a flash. Retirement age is coming and you know you don’t have enough money to retire with the lifestyle you’re accustomed. #1 Work Your Contributions at Work. While you’re working, maximize the contributions to your retirement plan (i.e. 401(k) etc). Go max on the amount your employer is contributing. #2 Work Longer…Retire Later. Having income coming in gives you a leg up to continuing to put funds into your retirement account. If your company provides health insurance, so be it and stay as long as you can. #3 Cut Expenses, BIG and Little. Move somewhere where housing and everyday expenses are lower. How about downsizing to a smaller place like a condo or apartment? No new car, keep the old one. Investing that $400 new car payment for a 5 percent return to put more than $27,000 into your retirement account in a five years. #4 Apply for Social Security… Now or Later. If you don’t need that SS check at 62, don’t apply until age 66. It means around 8% more per year on your final award. By waiting until age 70, the monthly benefit would be $1690 over $960 at age 62. Be careful, rules are changing. Check it out. #5 Put Your Money Where the Returns Are. Educate yourself or consider paying an independent professional in choosing the right asset-management process during your retirement years. It can be a minefield without good advice. Author David WilkinsonPosted on July 28, 2017 Leave a comment on Saving a Lot Or None at All for Retirement? … Where Do You Stand?